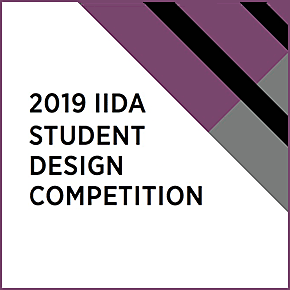 The 2019 IIDA Student Design Competition invites you to design several critical areas within a new ASC being constructed. The design should promote and allow the physicians, along with the health system, to increase efficiency and create a seamless patient experience through architecture and thoughtful design. A spa-like feel and amenities seen in hospitality are instrumental in creating a sense of calmness and well-being. The new facility should be flexible and allow for growth due to the changing landscape of healthcare from volume-based care to value-based care. Submissions should feature a majority (50 percent or more) of pieces from the OFS and Carolinas portfolio. Consider healthcare solutions from these key collections, as well as many others in the OFS and Carolina portfolios: Mile Marker, Modern Amenity, Hug, and Element. Keep in mind that OFS and Carolina, in addition to its standard products, consistently provides clients with custom and special orders and there would be no better place than the ASC to take advantage of those capabilities. Participants are also encouraged to use pieces from other manufacturers when creating their design solutions. Healthcare facilities, such as this new ASC, should take into consideration ADA standards for accessible design, HIPPA Privacy Rules, and make seating accommodations for the geriatric population or parents with small children.